PGIMER Chandigarh Jobs 2015 SRF/Technician/LDC pgimer.nic.in Apply Online : 1. PGIMER i.e. 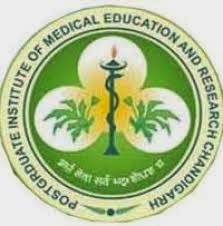 Post Graduate Institute of Medical Education & Research has released a recruitment notification for filling up of 06 vacancies of SRF/Technician/LDC. All the candidates who are eligible and interested can apply online before 4th March 2015 as it is the last date to fill the online application form. On the official website of PGIMER, that is pgimer.nic.in, candidates can find detailed info about PGIMER Chandigarh careers 2015. 6. Process of Selection : Based on the performance of the candidate in online examination, scrutiny, skill test and interview, selection of a candidate will be done. 7. Application fee details : Rs 1000/- must be paid by the General category candidates and Rs 500/- by SC/ ST candidates as an application fee in the account of “Power Jyoti” PGIMER A/c no – 32211613319” through a challan. 8. How to apply : Visit the official website of PGIMER is pgimer.edu.in and apply online. Fill the application form carefully by entering necessary details carefully. Deadline for filling and submitting the application form is 4th March 2015. 11. Candidates join us on Facebook for latest news and updates about PGIMER Chandigarh results 2015. Guys subscribe us for free email alerts and bookmark our page for future reference.